The main source of various info and stats on the tournament. Apart from scores, schedules, previews and player interviews, the FIFA World Cup’s official Twitter contains useful tips for those who may not be very well versed in all the nuances surrounding the game, like, for instance, tie-breakers for the group stage. The tournament’s unofficial Twitter has no relation to FIFA. Still, this is a good source of stories coming from the games, most of which are told in pictures and videos. 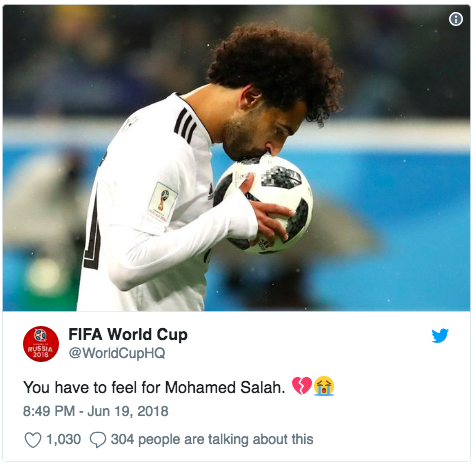 You’ll get great moments, like: the Egyptian Liverpool star Mohamed Salah kissing the ball before a penalty kick in the game against Russia; Senegalese players dancing in celebration of their victory over Poland, Mexican fans carrying around a cardboard photo of their friend whose wife didn’t let him go to Russia. The account also contains some interesting trivia — you’ll learn that Portugal’s star Cristiano Ronaldo, with 84 international goals, is far ahead of Pele (77) and Diego Maradona (34). One of the world’s oldest and best known soccer publications. The World Soccer’s Twitter contains match previews, reports and analyses, as well as links to features worth checking out — for instance, on the specifics of the video assistant referee (VAR) system, for the first time introduced at the World Cup this year. Although this Twitter account is focused on various sports, not just soccer, at the time of the World Cup it provides many useful stats related to the tournament. For instance, you will learn that Uruguay and Barcelona striker Luis Suarez attempted at least four shots in each of his last eight World Cup matches. Another major source of detailed stats, as well as predictions and pre-match trivia. Former England international and current BBC expert Gary Lineker is in Russia and closely follows all the games, sharing his insights and analysis. The Twitter account of soccer expert Michael Cox features insightful comments and tactical analysis of the World Cup games. Spanish soccer expert and author Guillem Balague is quite outspoken, sharing his comments about individual teams, matches and the tournament in general. 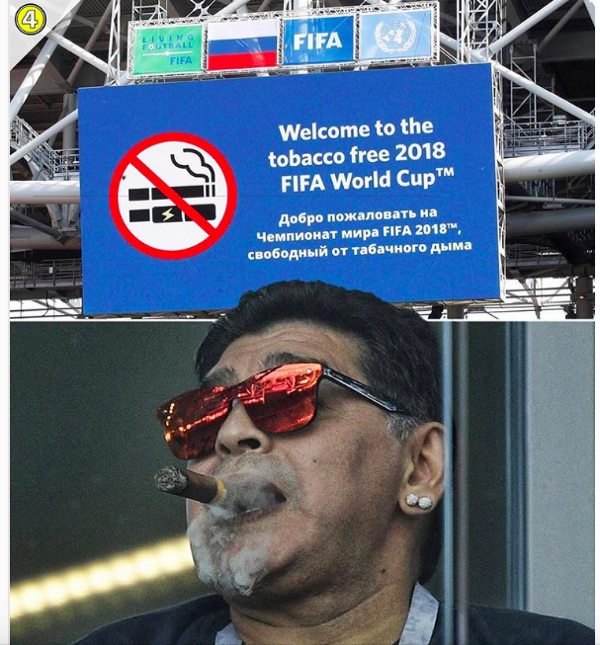 This Instagram account is a good source of fun stories, which can help you to feel the World Cup’s atmosphere and add some color to your stories: Brazilian fans cheering up a stewardess onboard the aircraft, Diego Maradona violating the smoking ban at World Cup stadiums, former French international Eric Cantona making fun of Brazil’s striker Neymar. An Instagram account, linked to ONE37pm media group, with some good photos and videos from the World Cup, as well as an interesting archive of stuff relevant to the current tournament. If you are interested in a specific match, tags would normally be in this format: #SPAMAR for Spain’s game against Morocco or #IRAPOR for Iran vs. Portugal. Good luck with your coverage and keep your finger on the pulse! 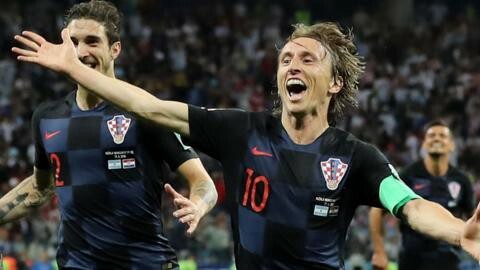 This article is one in a series of articles produced via a collaboration between HackPack and IJNet around the FIFA World Cup. IJNet is the premier source of media innovation, training opportunities and expert advice for an audience of more than 170,000 professional and citizen journalists worldwide.